Tahitian Guesthouses, also referred to locally as pensions (pronounced pone-see-owns), are typically family-operated lodgings in The Islands of Tahiti. 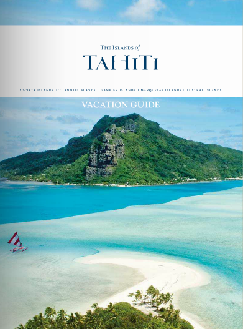 Tahitian Guesthouses are hidden gems as they provide a unique opportunity for visitors to immerse themselves into a more authentic way of travelling, a more personalized experience and to build lasting connections with people and our islands. While experiences vary from property to property, some owners or on-site managers interact with guests, sitting down to meals or even escorting or acting as a guide on a local excursion, such as pearl diving, snorkeling, hiking and other island experiences in a personal setting that is different from a traditional hotel.